Peel and mash the nectarines, discard the pits. 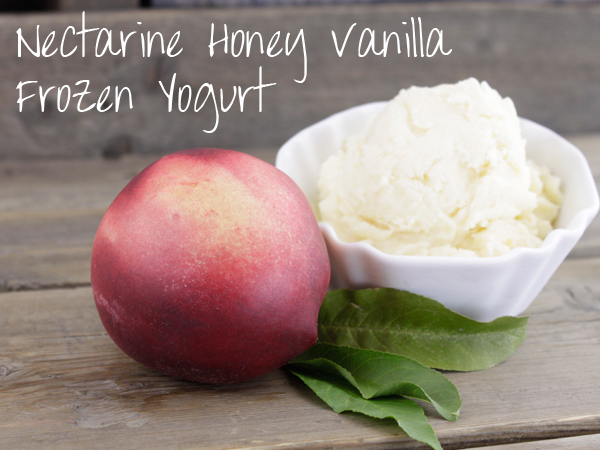 In an electric mixer (or by hand), mix together both yogurts and the mashed nectarines. Freeze in ice cream maker according to the directions for your model. Transfer to freezer safe container and store in freezer.